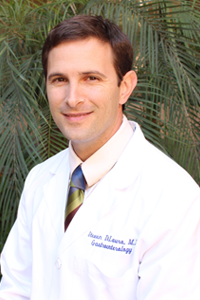 Dr. Steven DiLauro is board certified in Internal Medicine and Gastroenterology. He was raised in Carlsbad and graduated from San Dieguito High School. 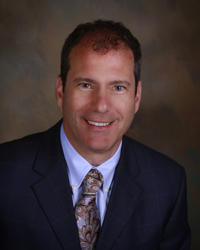 Dr. DiLauro received his undergraduate degree in Physiological Sciences at UCLA and his medical degree from Michigan State University in East Lansing. He completed residency training in internal medicine at the University of New Mexico and a gastroenterology fellowship at the Scripps Clinic. Dr. DiLauro is a member of the American Gastroenterological Association and the American College of Gastroenterology. He has co-authored several publications and presentations for scientific journals and conferences. He enjoys "all aspects of gastrointestinal and liver disease" with particular interest in colon cancer prevention, disorders of the esophagus, and inflammatory bowel disease. He is married and has two daughters. Dr. DiLauro is fluent in medical Spanish. 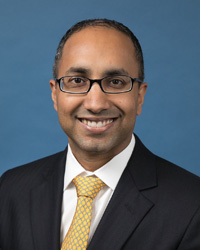 Dr. Marvin Singh is a general gastroenterologist with a special training and interest in integrative medicine – helping patients to not only manage their digestive disorders but also optimize their digestive health, overall well-being and longevity. Prior to joining Coastal Gastroenterology and becoming a voluntary Assistant Clinical Professor at UCSD in the Department of Family Medicine and Public Health, he was a Clinical Assistant Professor at UCLA in the Division of Digestive Diseases. He has also been an Assistant Professor of Medicine at Johns Hopkins University and Associate Director of GI/Hepatology for Johns Hopkins at Howard County, the university's community practice. He has completed a fellowship in Integrative Medicine at the Arizona Center for Integrative Medicine, which was founded by Dr. Andrew Weil, the prominent physician and alternative medicine proponent. Board-certified in both internal medicine and gastroenterology, Dr. Singh is a member of the American Academy of Anti-Aging Medicine, American College of Lifestyle Medicine, and The True Health Initiative, among many other societies. He is actively involved in the American Gastroenterological Association and is also a member of the American College of Gastroenterology, American Society of Gastrointestinal Endoscopy, American College of Physicians, and American Medical Association. He is co-editing the textbook of Integrative Gastroenterology and has already written several book chapters and articles. Dr. Singh is dedicated to providing his patients with cutting-edge tests and protocols that will allow them to develop a personalized medical plan based on their genetics, metabolism, and lifestyle. A graduate of Virginia Commonwealth University School of Medicine, Dr. Singh completed his residency training in internal medicine at the University of Michigan Health System followed by fellowship training in gastroenterology and hepatology at Scripps Clinic/Green Hospital. 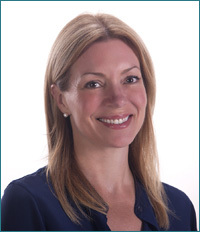 Angelina Collins is a Board Certified Adult Nurse Practitioner. She completed her undergraduate studies at The American University in Washington, DC. She received her Masters degree in Nursing from University of San Diego in 2006 and has practiced in both Internal Medicine and Gastroenterology. She joined Coastal Gastroenterology in 2006. 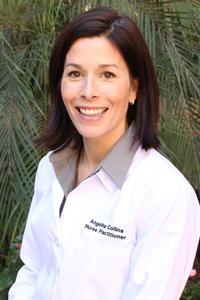 Prior to becoming a Nurse Practitioner Angelina worked as a Registered Nurse at Scripps Memorial Hospital La Jolla. Angelina is a member of the California Association of Nurse Practitioners and the American College of Nurse Practitioners. She has guest lectured on various nursing topics at USD. Angelina lives in North County with her husband and daughters. 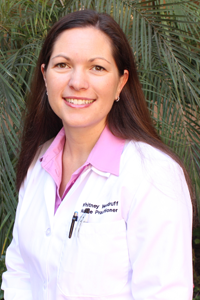 Whitney Woodruff is Board Certified as a Family Nurse Practitioner. She recieved her Masters of Nursing from University of San Diego. Before specializing in Gastroenterology she worked at an inpatient treatment center for eating disorders, and as a Registered Nurse at Scripps Encinitas. Whitney can be found spending time with her family, training for local triathlons and planning her next international healthcare mission.